The biggest mystery of modern physical science is invisible - the so-called dark matter and dark energy that together account for 95% of the mass-energy content of the universe. Discovering answers to "what is dark matter?" and "what is dark energy?" is therefore a hugely exciting challenge for cosmologists and particle physicists alike. Galaxy clusters are special laboratories for studying the "dark universe". As the most massive objects in the universe, they contain a vast amount of dark matter, and the rate at which they grow over the course of cosmic history is sensitive to dark energy. Accurate measurements of the mass and internal structure of galaxy clusters are therefore key to our quest to understand dark matter and dark energy. We, the Local Cluster Substructure Survey (LoCuSS), are studying intensely 50 of the most massive galaxy clusters in the local universe to learn how to measure the mass and structure of these cosmic giants as accurately as possible. The results of our study will feed directly into numerous big projects that aim to measure dark energy to high precision, including Euclid and LSST next decade. 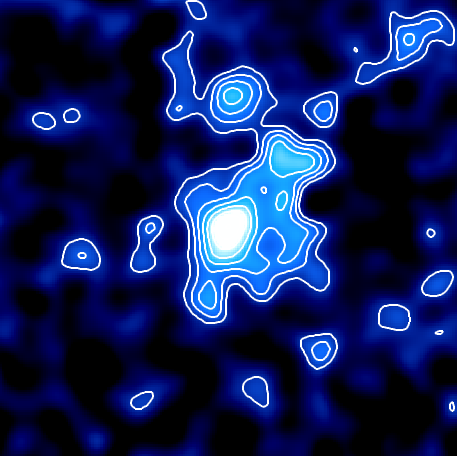 We are also studying the galaxies that are falling into these galaxy clusters, using observations with ESA's Herschel Space Observatory to find out what physical processes are responsible for turning off star formation in these galaxies. Our scientific aims require a wide variety of observations and analysis techniques. 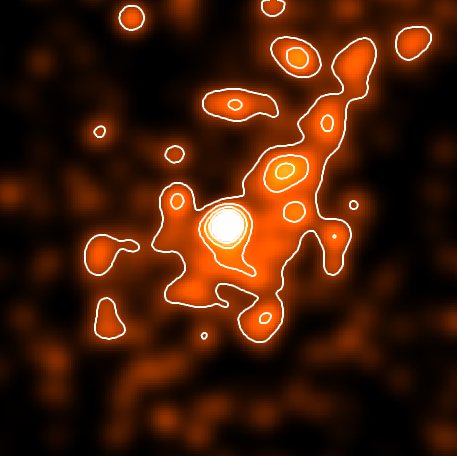 For example, we use gravitational lensing observations with the Subaru telescope to map the dark matter (blue, top), observations with the UK Infrared Telescope to map the old stars in the cluster galaxies (orange, middle-top), Herschel to locate star-forming galaxies (red, middle-bottom), and the Chandra X-ray Observatory to probe the ionized cluster atmosphere (green, bottom). More details of our observations are available here.